SMOKEmUP.com :: View topic - you wisconsinites!!!!!! Posted: Tue Apr 28, 2009 7:04 pm Post subject: you wisconsinites!!!!!! It is a little far for me to drive up for that, though last time I was there I attended a bunch of late spring early summer tractor fests. Amazed at how you guys keep a tractor looking brand new arter fifty or more years in a field. You guys have nothing to do all winter but wash and wax your equipment? I can only imagine what your cars look like if your tractors look like new. 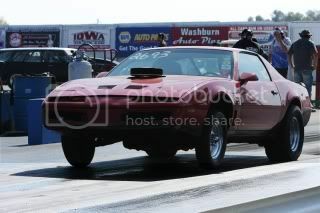 same goes for the "snow machines"
Well I will definatly be attending the Summer Nat's, but I doubt I'll bring the Camaro. 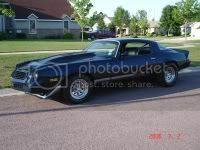 Its currently in storage at my fathers place down in the SW corner of the state. But we are building a new house with 3 stalls, so I'll have it with me next year for sure! I'll be on the lookout for your car!